The Easter holidays are in full swing and the battle to get the kids off the games consoles, and from in front of the telly has begun. 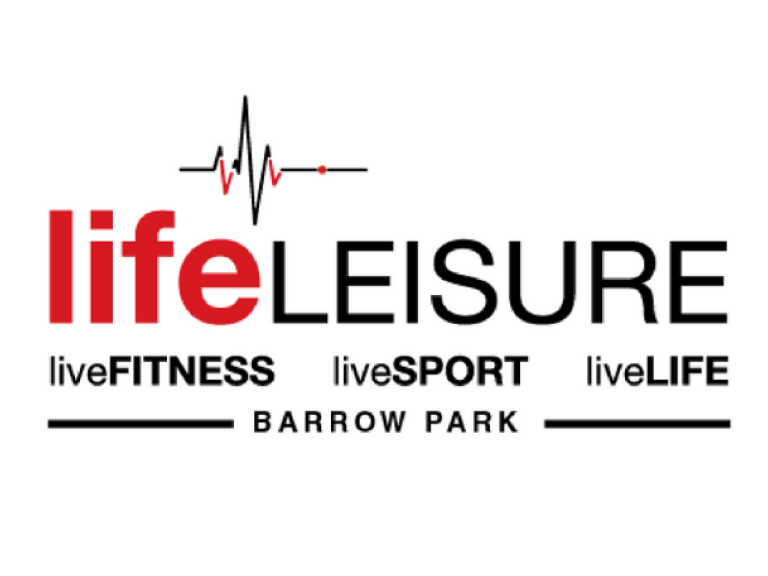 Life Leisure have a full programme of activities to help make the Easter break easier. From Aerobics to Football, Roller Discos to Nerf Battles there's something for everyone! Monday 1st April & Monday 8th April 11am-11.45am – Led by our experienced and qualified instructors. £4 per session, for ages 3-6 yrs. Monday 1st April & Monday 8th April & Thursday 4th April & 11th April, 5pm-5.45pm – Led by our experienced and qualified instructors. £2.50 per session, for ages 8-13 yrs. Wednesday 3rd April & Wednesday 10th April, 5pm-5.45pm – Led by our experienced and qualified instructors. £2.50 per session, for ages 8-13 yrs. Friday 4th April & Friday 12th April, 11.15am-12pm – Led by our experienced and qualified instructors. £4 per session, for ages 3-6 yrs. Kids come along for this FUN session. Thursday 3.30pm – 4.15pm. They must bring their own Nerf guns, we supply the ammo. Rules apply for your child’s safety. Glasses and team vests will be provided. FREE THE GALAXY OR DEFEND THE DEATH STAR, LET THE BATTLES COMMENCE! BRING YOUR LITTLE BUNNIES FOR FUN IN THE SPORTS HALL AND SOFT PLAY. Little ones can run about, burn off energy and enjoy our bouncy castle, toys, an Easter candy cone and their favourite pop tunes! Why not let them wear their favourite fancy dress outfit, bunny ears, or a painted bunny face to our Easter themed party. There will be fun & adventures in our soft play area, plus toys & games to play in the sports hall. This is a special event, the cost is £3.50 for all children, cost covers staffing bouncy castle and candy cones. The event is NOT included in the Family Membership. Our parties can get busy, if this is the case on the day coloured bands will be issued and sessions will be limited to 45 minutes. 9AM-3PM, WEDNESDAY 10TH & THURSDAY 11TH, £25 PER DAY FOR NON MEMBERS, £17.50 FOR MEMBERS. Our fun packed Life Leisure Kids Camps allow children the opportunity to experience a wide range of multi-sports, pool* and fitness sessions during the school holidays. Holiday camps will be led by qualified sports coaches who will ensure a fun packed programme of sporting activities and games throughout each day! with great activities including Football, Ball Games, Spin, Cricket, Functional Gym, Bootcamp, Roller Disco & Swimming. *Drinks & snacks are provided, but please send your child with lunch. FUN & GAMES IN SOFT PLAY AND THE SPORTS HALL. Fun for your little ones with fun & adventures in our soft play area, toys & games to play in the sports hall. LOTS OF FUN AND ADVENTURES FOR LITTLE ONES IN OUR SOFT PLAY AREA! Cost £2.50 a session. Ages 0-8 years. WITH A SPECIFICALLY DESIGNED EXERCISE PROGRAMME FOR 8-15 YEAR OLDS, BUILT TO ENABLE YOUNG PEOPLE TO EXPERIENCE A REAL PHYSICAL WORK OUT! 45 MIN SESSIONS, ONLY £2.50 PER SESSION. AGES 8-15 YEARS. FUN SWIMMING SESSIONS ON YOUR OWN, WITH YOUR FRIENDS AND FAMILY. Please click HERE to see our swimming timetable! ROCK N ROLL TO YOUR FAVOURITE TUNES! 45 min sessions, cost £2.80 kids, £4 adults. *Tuesday & Friday Roller skating sessions are included in kids and family memberships. MULTI-SENSORY STIMULATION AND LEARNING FOR BABIES. USING LIGHTING EFFECTS, COLOUR, SOUNDS, SCENTS AND TEXTURES, FOR AN EXPERIENCE OF WONDER & EXPLORATION! Times the same as Baby & Toddler Soft Play. Click HERE for times. Cost £3 per baby from 0-13 months per 30 minute session.